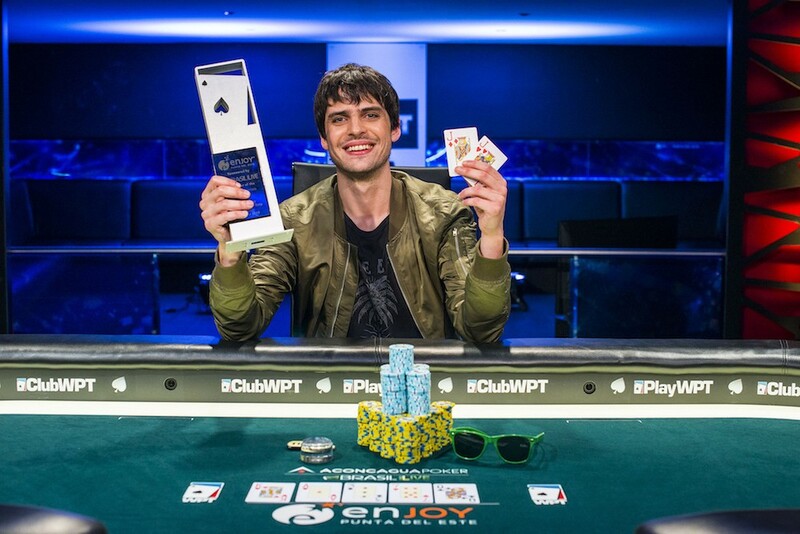 What an outstanding performance it was for Argentina’s Juan Gonzalez (pictured), who emerged victorious in the first-ever WPT Uruguay Main Event, presented by Brasil Poker Live. Gonzalez topped a field of 410 entries in the $1,500 buy-in event to claim the title and $109,860 first-place prize. Gonzalez stormed to the top of the leaderboard to close out Day 2 in the WPT Uruguay Main Event. He then headed into Day 3 with the chip lead atop the final 22 players in the field. It wasn’t entirely smooth sailing for Gonzalez from there, as his chip stack went up and down as the tournament played through to the end. Along the way, Gonzalez eliminated Miguel Brañas in third place, which was his only elimination at the final table, and took a stack of 7.55 million into heads up play. His opponent was Brazilian Kaue Vinicius De Souza, who entered the final duel with a stack of 4.2 million. Both Gonzalez and De Souza were players sent to the event by the Aconcagua Poker Network, official partner of the World Poker Tour. On the fourth hand of heads-up play, it was all over, with Gonzalez and De Souza both picking up big pairs and getting the money in. Gonzalez’s pair was the better of the two with two jacks, and the jacks held up against the two tens for De Souza. De Souza’s second-place finish left him with a payday of $76,960, good for the largest of his live tournament career. Winning the event etched Gonzalez’s name in the WPT history books forever, and he left with the title and $109,860 top prize. The score was the largest of his career. The WPT Uruguay Main Event, presented by Brasil Poker Live, attracted a field of 410 entries and generated a prize pool of greater than $535,000. The top 52 players reached the money, and notables finishes were had by Day 1b chip leader Martín Vega (18th – $6,335), Jose “Nacho” Barbero (29th – $3,005), and Day 1a chip leader Matias Scaffo (45th – $2,685). Additionally, of the 200-plus players that the Aconcagua Poker Network sent to WPT Uruguay, there were some very deep runs had. The winner, Gonzalez, was an Aconcagua Poker Network player, as was second-place finisher De Souza. Kaufman, who placed fourth in the event, was another Aconcagua Poker Network player. Other Aconcagua Poker Network players with deep runs were Jean Sierra (10th – $9,260), Felipe Sangalli Pasini (12th – $9,260), Alejandro Lopez (13th – $7,715), and Ezequiel Waigel (14th – $7,715). Next up for the WPT Main Tour is a stop much further north than this one down in Uruguay, as the tour travels to Playground Poker Club in Canada for WPT Montreal. The series is running now, but it’s the WPT Montreal C$3,850 Main Event that everyone has their eyes on. The WPT Montreal Main Event runs November 10-16 and boasts a C$2 million guaranteed prize pool. As WPT Uruguay was officially a WPTDeepStacks event, let’s take a look at what poker’s premier mid-major tour has coming up next, too. First up is WPTDeepStacks Brussels, featuring a €1,200 Main Event that runs November 9-12 at Grand Casino Brussels VIAGE in Belgium. At just about the same time, WPTDeepStacks is over in India for WPT India, which has a INR55,000 Main Event that runs November 10-13 at Deltin Royale Casino Goa. Then it’s over to China for WPT Sanya, running November 16-21 at MGM Grand Sanya. In December, it’s the finale of the WPTDeepStacks season in North America, with the WPTDeepStacks Championship at Thunder Valley Casino Resort. The full WPTDeepStacks Championship festival, proudly presented by ClubWPT, runs November 24 through December 5, with the $2,500 Main Event running December 2-5 and featuring a big $1 million guarantee. Taking its partnership with Brasil Poker Live and the Aconcagua Poker Network to the next level, the World Poker Tour comes to Argentina for the first time in the tour’s storied history in March 2018. The event will be held March 14-19, 2018, at Casino Iguazú. 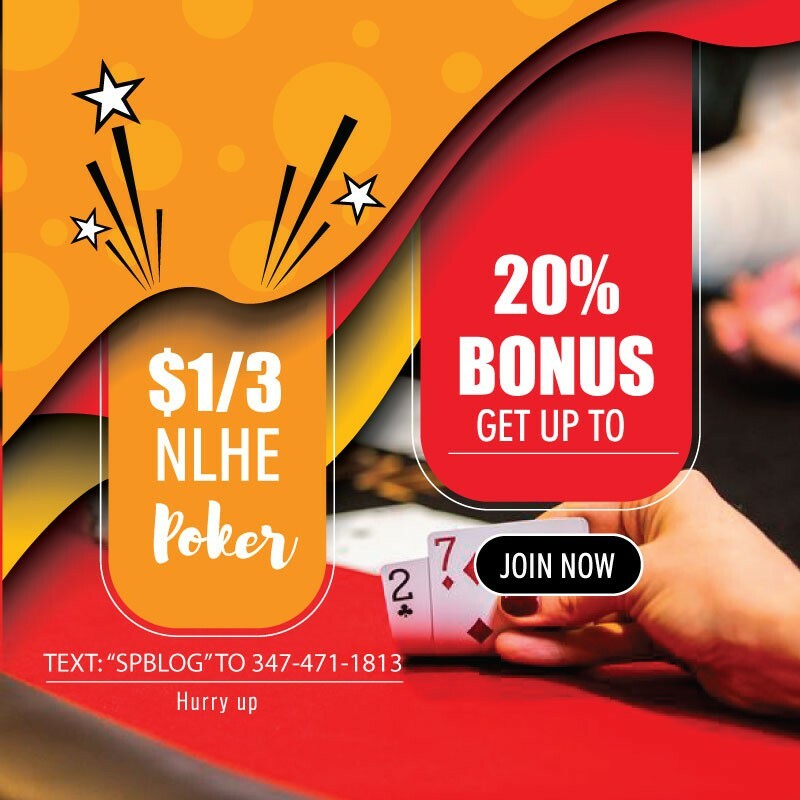 Stay tuned to WPT.com for more details as they are announced.